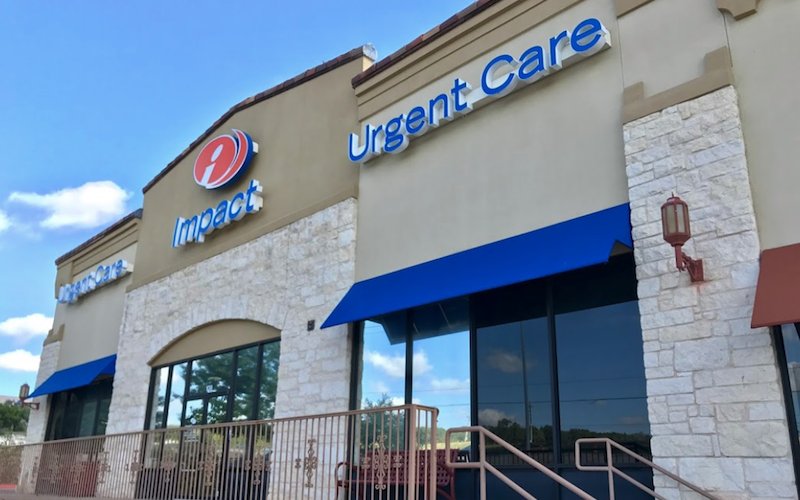 Recognized favorably amongst their patients, Impact Urgent Care, San Antonio (Stone Oak) has an average rating of 4.9 stars out of 5 based on 557 total ratings. In fact, recent patients have frequently used words such as "ambiance", "bedside manner" and "timeliness" to describe their experience at the clinic. Certainly not terms you hear about healthcare providers too frequently! I’m on vacation and my back pain almost knocked me off my feet. I was able to show up, receive fast professional treatment quickly and be so very kindly treated. I’m so grateful! Great faculty and staff was very courteous and helpful! Thank you for taking my insurance! Some urgent care places do not take it! Saved me time from going to hospital ER. My daughter, who never likes doctors, left the facility after being diagnosed with the flu talking about how much she liked Dr. Joe and that was the best time she had at a doctors office. Incredible experience with no pain! Very little wait time, clean facility, friendly staff and thorough doctor visit. Overall, extremely satisfied! Everyone was very nice. Dr Mc Gee took his time w me and explained everything to me. He was very knowledgeable and seemed to care. Great doctor. Very nice clinic. Friendly staff and physician was attentive, personable and professional. They took care of me promptly with little wait time. This will be my emergency go to clinic for weekend care and if I can't get in to see my physician. Great urgent care, very prompt and courteous. I had an in-house procedure done today and despite the pain from it I was pleased with my experience. Bianca at the front was friendly, professional, and checked me in quickly. During the procedure Maria and Mr. McGee made me feel comfortable despite the circumstances. They were very sympathetic, and Mr. McGee seemed very knowledgeable.